Let us introduce you to some of the artists you will hear at the Festival! Prof Phương Oanh was born in Da Lat in central Vietnam in 1945. She graduated from the Vietnamese Conservatory of Music in Saigon in 1962 and taught music at Saigon National Conservatory of Music from 1964-1975. In 1969 she founded the Phuong Ca Dan Ca Quoc Nhac music school. 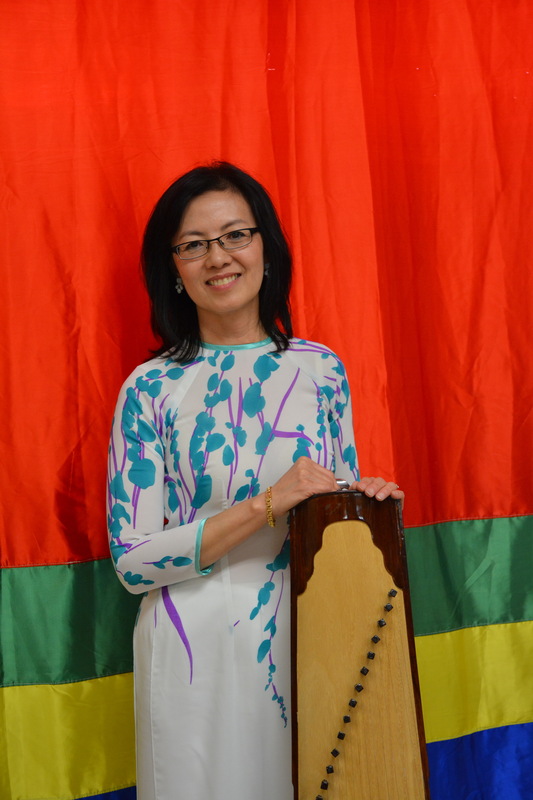 During more than forty years of teaching Vietnamese traditional music, Prof. Phuong Oanh has trained many eminent Vietnamese traditional artists, including artists Kim Uyen, Kim Hien, Ngoc Dung, Nguyet Anh, and Van Anh. 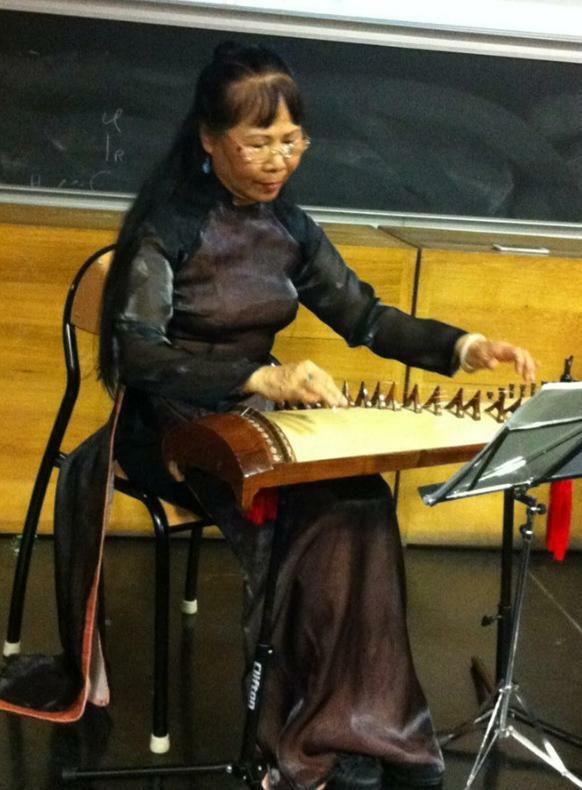 With her ensemble, Prof. Phuong Oanh has performed throughout the world. In recognition of her many contributions to traditional music, she was awarded in 1988 the gold medal for music from the Asian Cultural Academy. 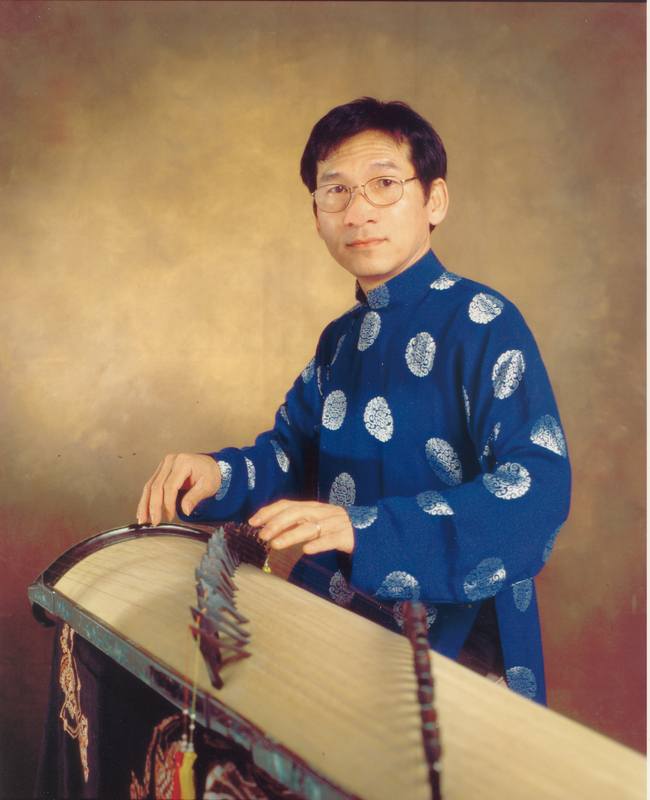 Pham Duc Thanh is a world-renowned musician known for his masterful ability on the Vietnamese monochord (Dan Bau). He began playing Dan Bau and Dan Nhi at the age of 5. In October of 1983, he graduated with top honors from the Center for Musical Research of Vietnam. It was here that he became recognized as one of the rising musicians on Dan Bau in traditional as well as modern music. He and his family moved to Canada in 1996. 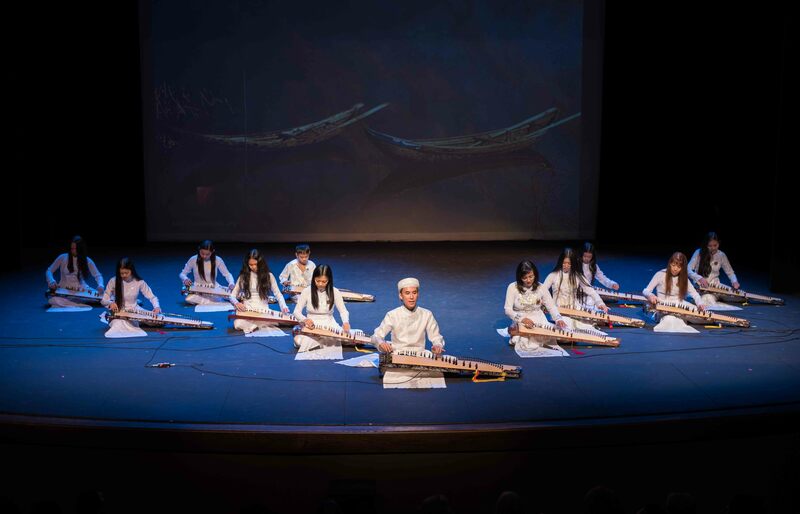 Beyond the traditional music of Vietnam , he has used the Dan Bau to integrate seamlessly with the sounds and rhythms of various ethnic sounds from around the world. Phương Linh is the first prize winner of the 2014 Golden Voice Competition in Canada. 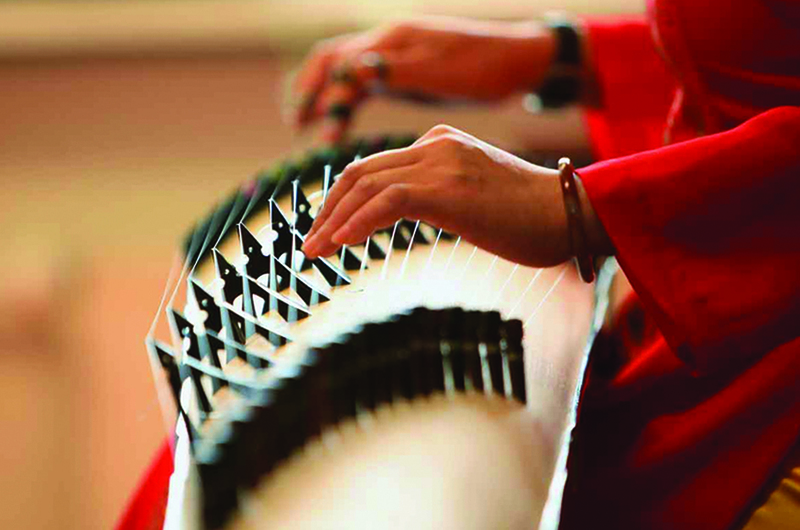 Thành Lê is a virtuoso of the Vietnamese Zither. She has given many successful concerts in Germany and Canada with her brother Phạm Đức Thành. Thành Lê has appeared in several German Radio and Television programs. Dang Lan is an accomplished musician and actress, having studied dan tranh, dan bau and also sinh tien. She has performed Cheo (Vietnamese opera) for television and stage appearances across Vietnam, USA, Australia, Canada and Noumea. Since coming to Australia in 1975, Dang Lan has appeared in documentaries and features for ABC and SBS television, as well as presenting radio and television programs. Found in 2000, Phượng Ca Oslo is directed by Professor Phuong Oanh of Phượng Ca Paris. Currently there are more than 20 members majoring in đàn tranh, đàn sến, đàn bầu, đàn kìm and sáo. Prof. Lan Nguyen taught at the Saigon Conservatory of Music from 1971 – 1975 and College of Theatrical Arts during 1975 – 1985. 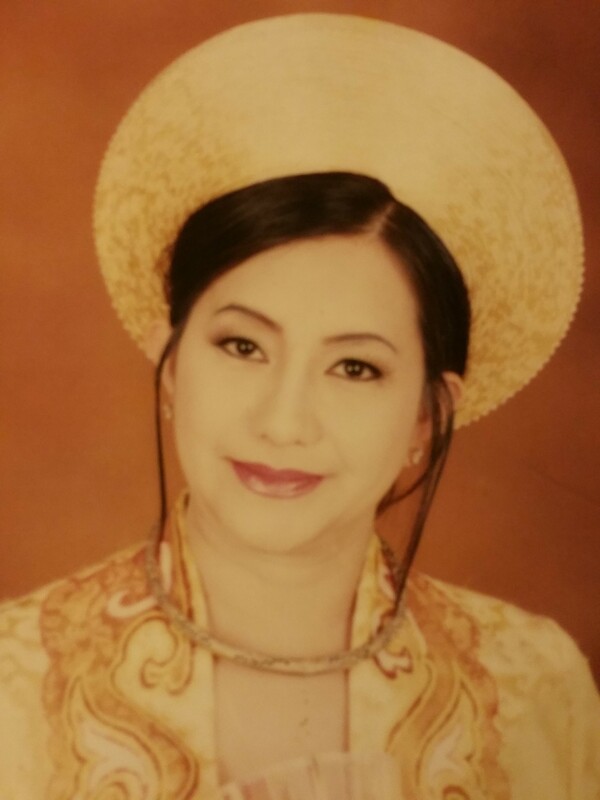 Phuong My attended the National Conservatory of Music in Saigon from 1970 to 1975 majoring in Singing and Vietnamese Zither. She performed numerous times for Smithsonian Folk Life Festival and for Northern Virginia Vietnamese Community. Phuong My is a founding member of Huong Xua Group with Professor Kim Oanh. She is also the author of two books “The Vietnamese Cookbook” (2000) and “The Asian Diet” (2002) both published by Capital Books USA. Back to Back Zithers are four distinguished solo composer-performers who enjoy sharing each other’s traditions and skills in the process of making new Australian music. Since 1988 they have combined their original ideas with musical thoughts from Vietnam, West Java, medieval France and Italy in new compositions which transcend the boundaries of East and West. Kari is a musician and visual artist. 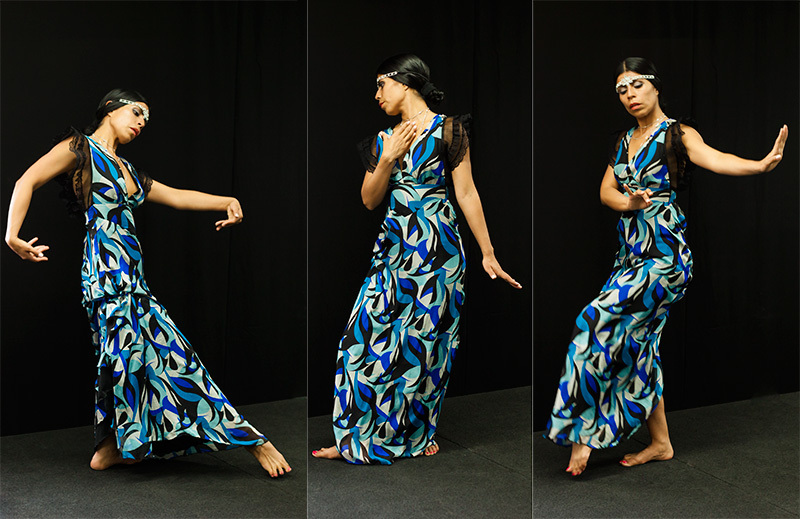 She spent several years living a Sundanese life in West Java studying music and dance. She has performed in several multicultural ensembles and explored many musical landscapes. She has also played a key role in facilitating multicultural music in Australia. Her work has taken her from Indonesia to Greece, from the deserts of Australia to sails on the seas. Ros Bandt is a composer, performer and sound sculptor. Her original music and sound sculptures have been widely appreciated in Europe, America and Australasia. She performs with the Early Music group La Romanesca as well as creating her own acoustic and electronic compositions which are recorded on the Move label. She was awarded the Don Banks fellowship for composition in 1991 and an Australian Research Fellowship in 1992. 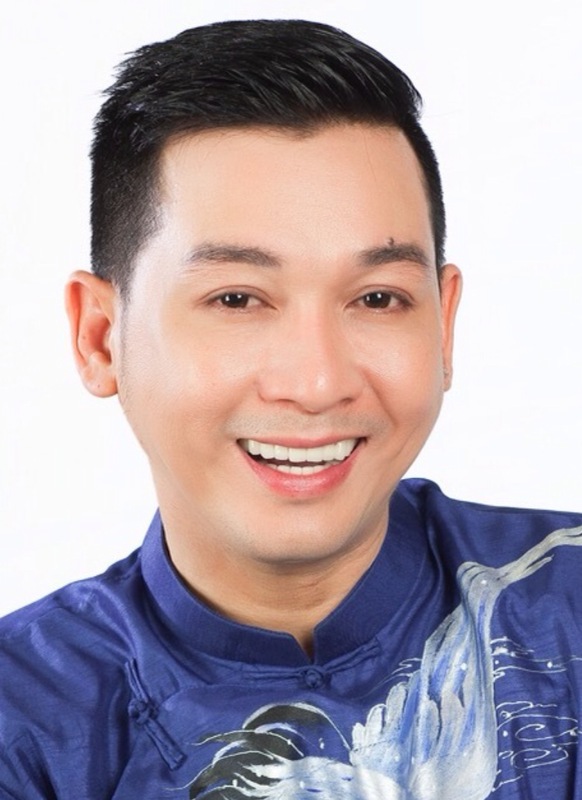 Dr. Hai Viet Hong (Doctor of Acupuncture and Oriental Medicine) is the Founder and Executive Director of the Huong Viet Performing Arts Group. Dr. Hong studied Dan tranh and Vietnamese traditional music with Ong Duc Xuan, Kim Uyen, and Chinese music with professor Chang. He is the first Vietnamese person chosen to receive the Washington State Arts Commission Folkarts Award to teach Vietnamese music and arts from 2005-2008. Dr. Hong specializes in Vietnamese traditional instruments, brush painting, and Vietnamese calligraphy. Dieu Trinh’s passion for music began with the image of her dear father singing with a guitar in his hands on Hue’s radio programs when he as a soldier, back in the old days in Vietnam. Her dream came true when her father took her to a Dan Tranh’s class in Saigon. The love for music brought her to Ms Le Kim Uyen and she has been practicing & learning under Kim Uyen’s guidance ever since. 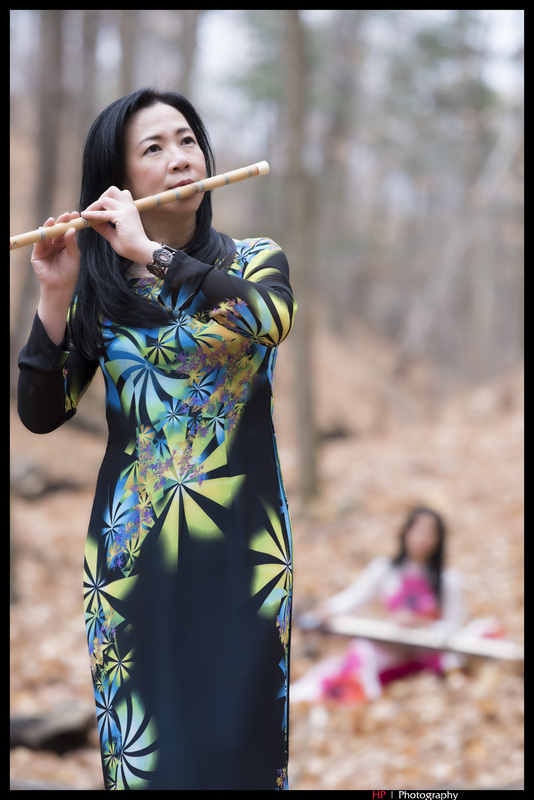 Dieu Trinh had opportunities extending her dream through participating in the musical programs organized by Huong Viet group in Seattle, Vietnamese associations in Toronto, and most recently the Vietnamese Traditional Music World Festival. Geraldine Balcazar is a movement artist with particular interest in collaborating with visual and sound artists. Her movement practice is based on research of the body, its anatomy and building sensory performance work that is both resonant by the dancer and spectator. She has worked with Xavier Le Roy (France) in his new durational work presented by Kaldor Public Arts Projects Sydney; Tino Sehgal’s durational work at the Art Gallery of NSW (2014); Annalouise Paul’s world premier of Mother Tongue (2014). Her movement art, collaborations, research and works continue to immerse and have been supported by Bundanon Trust – Artist in residency program (2014) and Imagine Platform since 2013. Lê Phương graduated with Bachelor of Music majoring in Đàn Tranh at the Saigon Conservatory of Music. She was a music teacher at Nha Trang College. 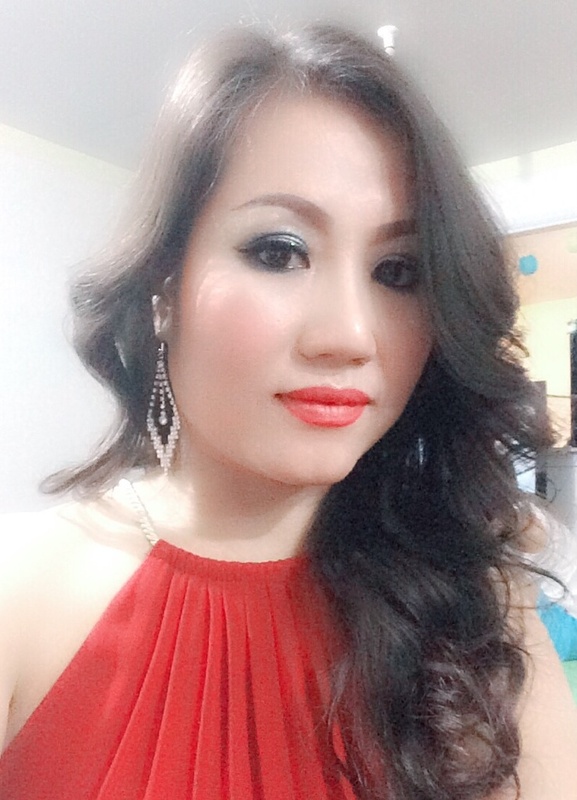 Lê Phương has performed in major performing arts events in Bathurst and Sydney. 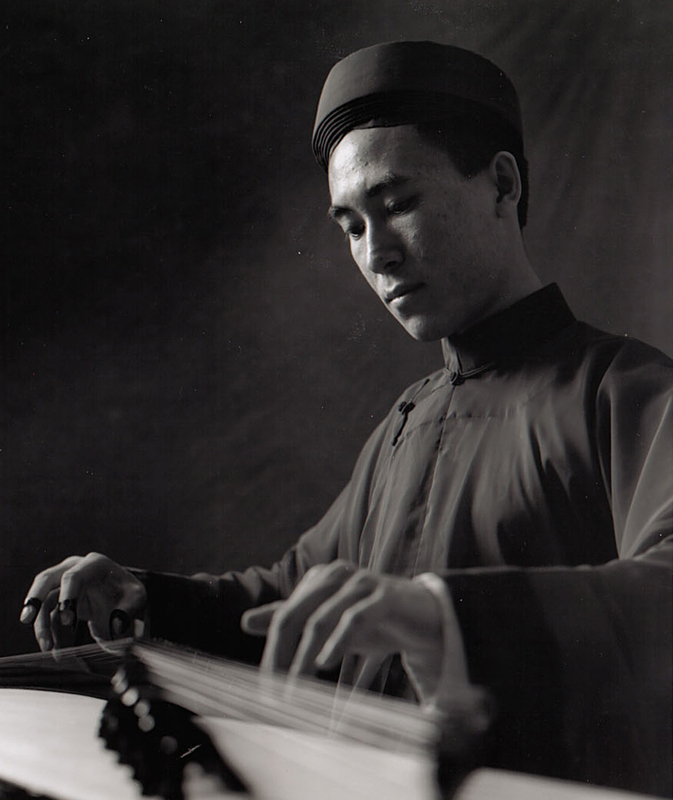 Lê Thi Kim (Kim Uyên) is a composer and virtuoso of Vietnamese traditional music on đàn Tranh. In 1984, she received the first prize for Excellent Đàn Tranh Performance. Throughout years studying đàn Tranh at the Vietnamese Conservatory of Music, Ms. Kim Uyên continuously ranked first in her class and graduated as a valedictorian. 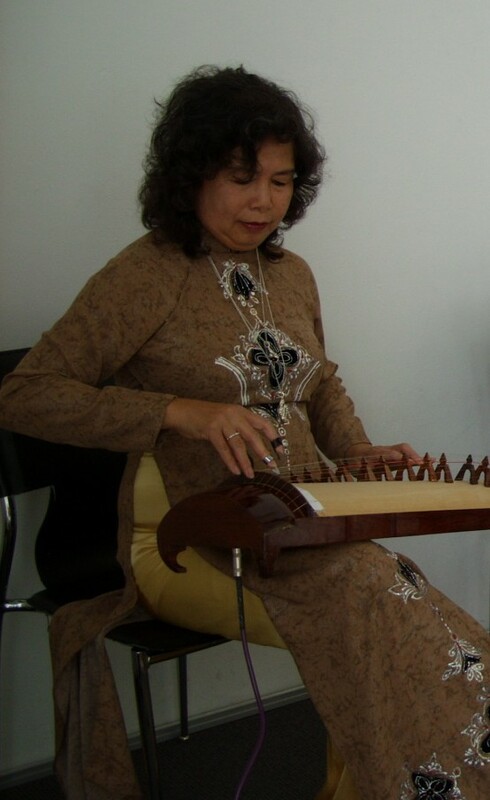 Upon her completion for master degree in music at Monash University, Australia, with a Women’s Scholarship, Ms. Kim Uyên actively performed and participated in many traditional musical programs across Asia, Australia, North America and Europe. 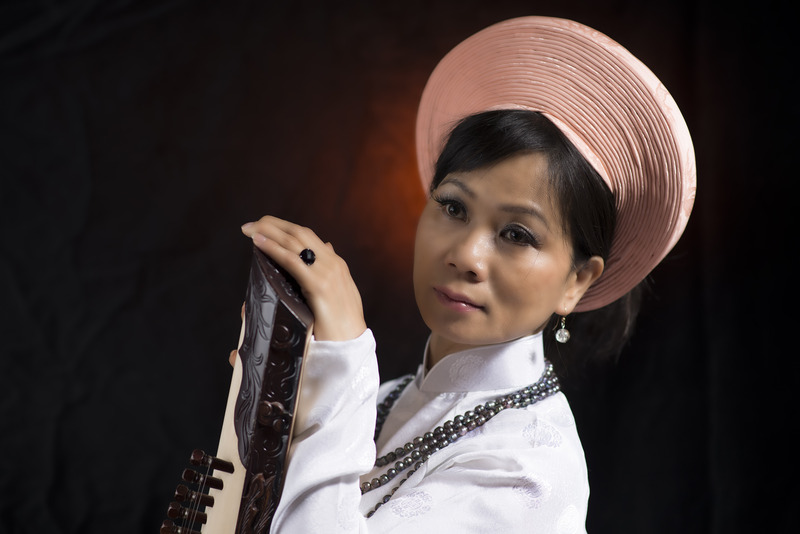 She has produced six albums about đàn Tranh and Vietnamese traditional music, and appeared in numerous radio and television programs. 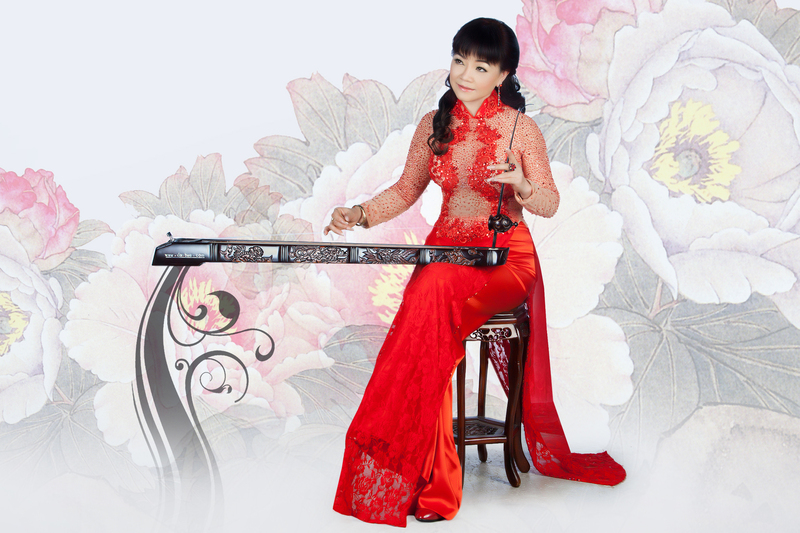 Ms. Kim Uyên is also a member of many prestigious Vietnamese traditional music groups such as Phượng Ca, Tiếng Hát Quê Hương, Thiếu Nhi Lê Văn Khoa, Back to Back Zither, Hồng Lạc. She is now residing in Ontario, Canada. Currently, Ms. Kim Uyên is the founder of the Tre Việt group, the Festival for Vietnamese Traditional Music which started in 2011 and an adviser for several Performing Arts groups across North America and Europe. Dr. Stephanie Nguyen (Nguyen Thi Hong Lan Phuong) is a member of the Hương Xưa group. 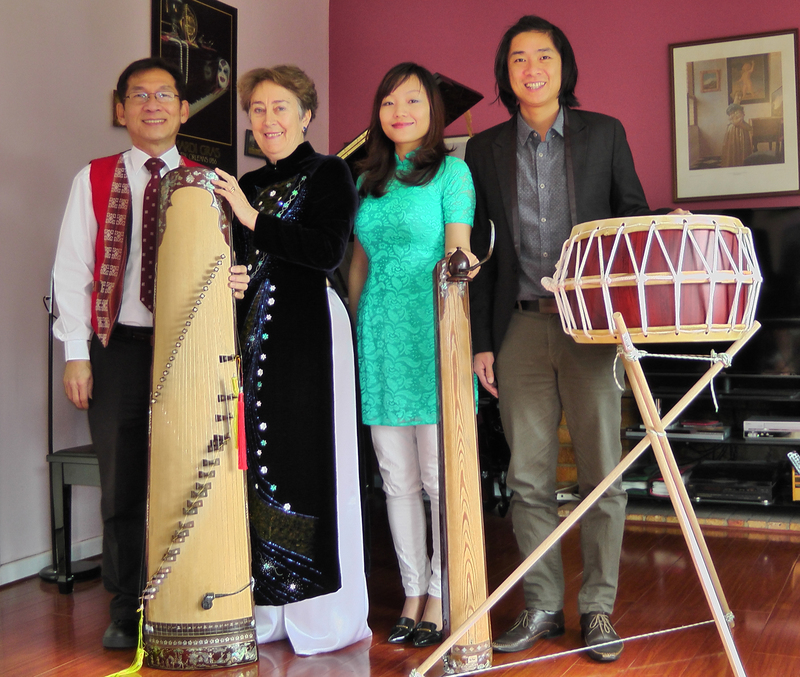 Dr. Nguyen studied Đàn Tranh – Zither and Vietnamese traditional music with Le Kim Uyen and Sao Truc -Vietnamese Bamboo Flute with Tran Thanh Trung. Her passion of the Vietnamese traditional music since the age of 14 is unabated and highly commendable. 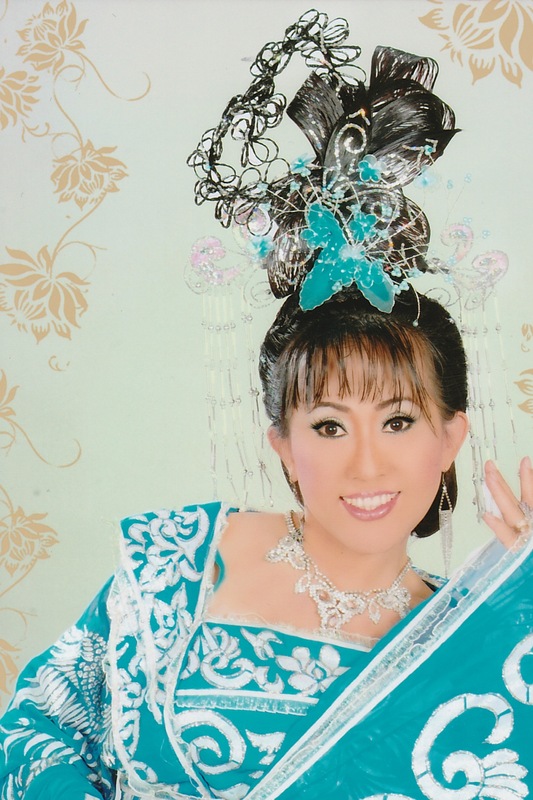 She is the first Vietnamese Dan Tranh Winner of the 2015 Đại Hội Competition for the Amateurs. Dr. Nguyễn has also been an active member, a supportive sponsor for the Vietnamese Traditional Music World Festival. 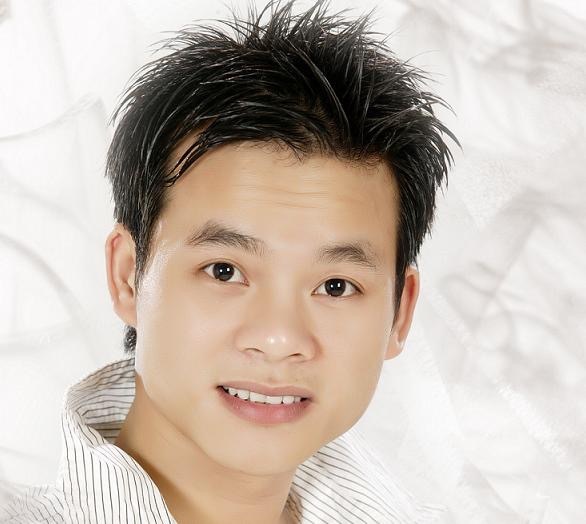 Nguyễn Đăng Thảo is an accomplished musician and composer who has performed extensively in Australia. 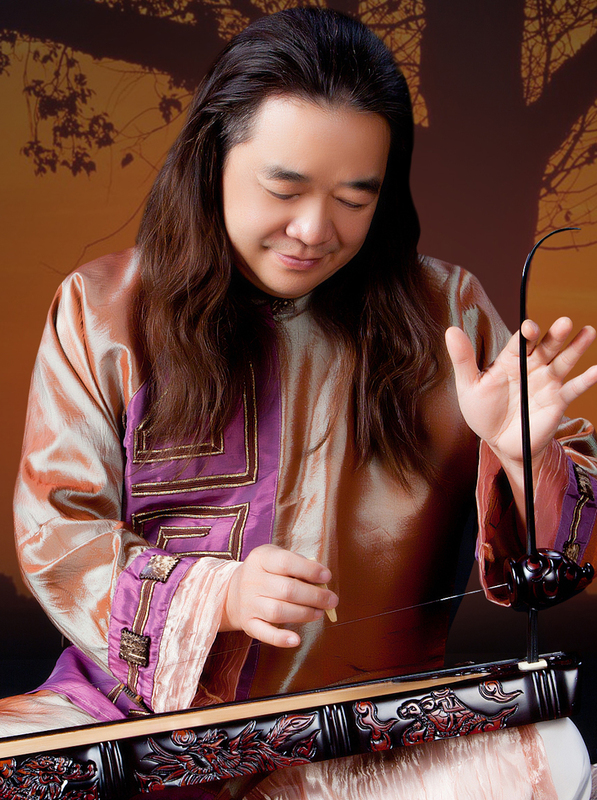 He graduated from Vietnam National Conservatory of Music majoring in Vietnamese Zither and Classical Guitar (1971). He completed a Graduate Diploma in Music at the Elder Conservatorium in 1993. Đăng Thảo also lectures in Vietnamese music at the University of Adelaide. He has recorded with the ABC Radio and SBS Television. Ros Hewton is a Music teacher. She has played piano since childhood, and has been interested in music of other cultures for many years, in particular, Vietnam. She has accompanied Dang Thao Nguyen on keyboard since 1983. Together, they have performed together at many venues in South Australia schools, folk festivals and Adelaide University. 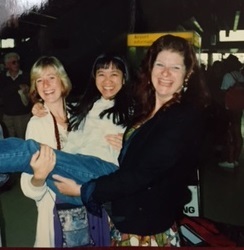 Ros has a Graduate Diploma in Intercultural Music studies from Adelaide University. 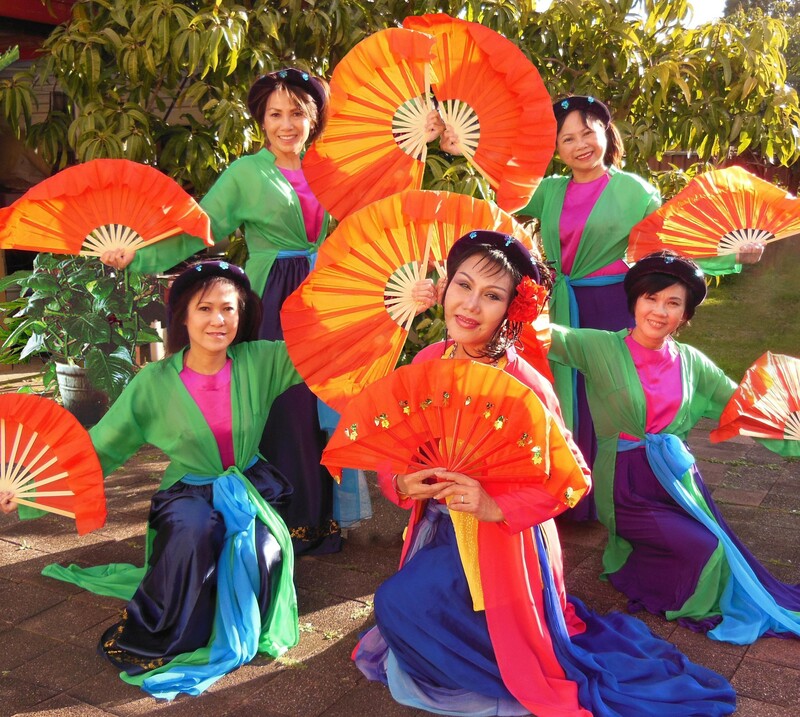 The Golden Bamboo is the foremost Vietnamese traditional music ensemble in Sydney. 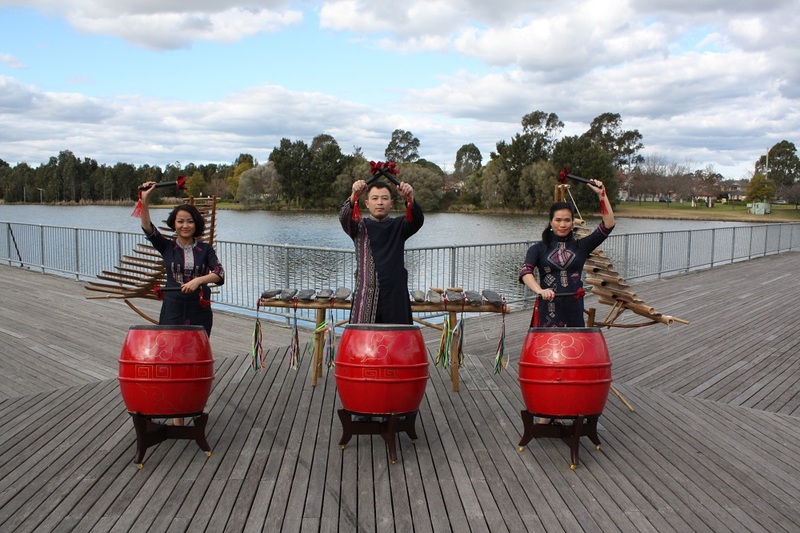 Found in February 2015 by Minh Ha with two members Le Phuong and Phong Phu, the Golden Bamboo has given many successful performances in New South Wales. Thu Hien Ngo started to play Đàn tranh for her own pleasure. After practicing for many years, she won the Silver Prize in the 1994 National Competition of Đàn tranh Young Talents. 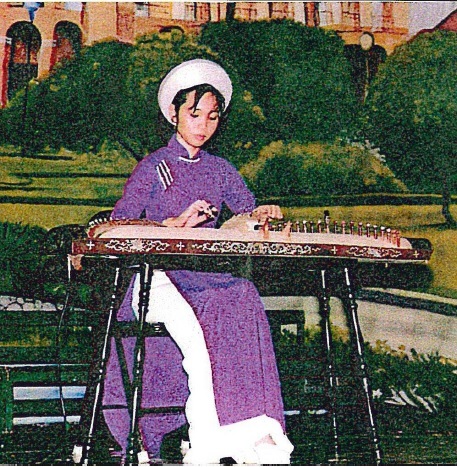 Since then, she has really fallen in love with this beautiful intricate instrument, and has performed for many occasions and events in Vietnam and Australia. Xuan Linh plays dan tranh as an amateur. 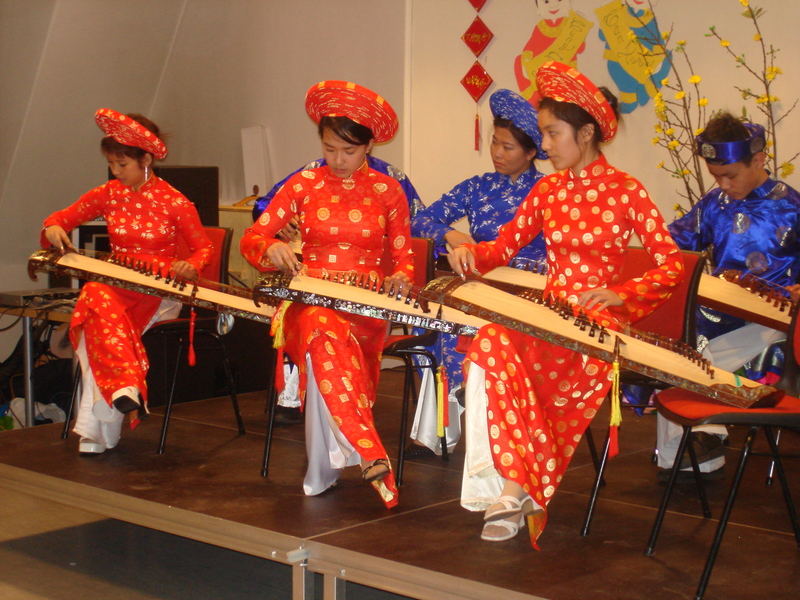 Dan tranh and dan nguyet are Linh’s favourite Vietnamese instruments. Linh plays dan tranh occasionally in Australia. Ms. Anh Linh commenced her music studies at the Saigon Conservatory of Music in the Vocal Department in the early 70s. She also studied Dan Tranh and Dan Bau in private courses with professors Nguyễn Hữu Ba, Phạm Thúy Hoan, Phạm Văn Nghi, Ngọc Lan and Kim Hiền. Coming to Australia in 1986, she has performed on many occasions in the Vietnamese community and in multicultural events. 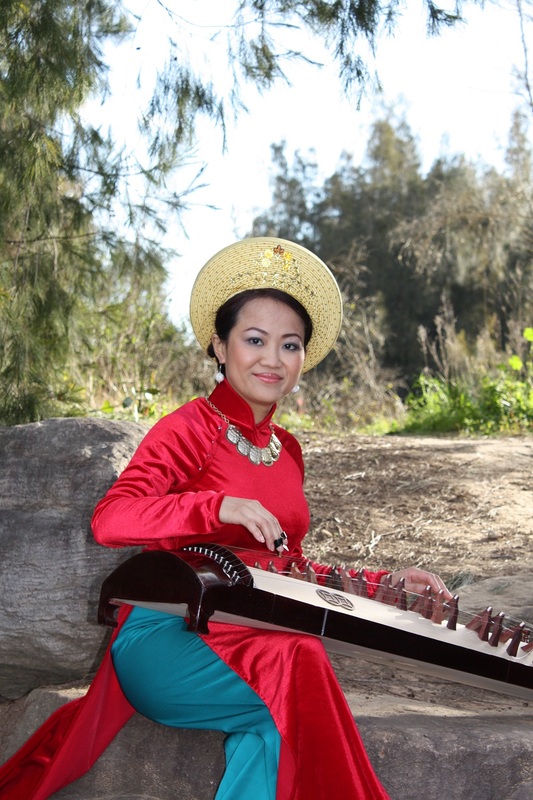 Anh Linh is a teacher at the Vietnamese Traditional Music School in Sydney and the Founder of the Hoai Huong Group (Nostalgia) in 2011. Graduated from the University of Sydney, she has worked as a social worker in various NSW Government Departments. 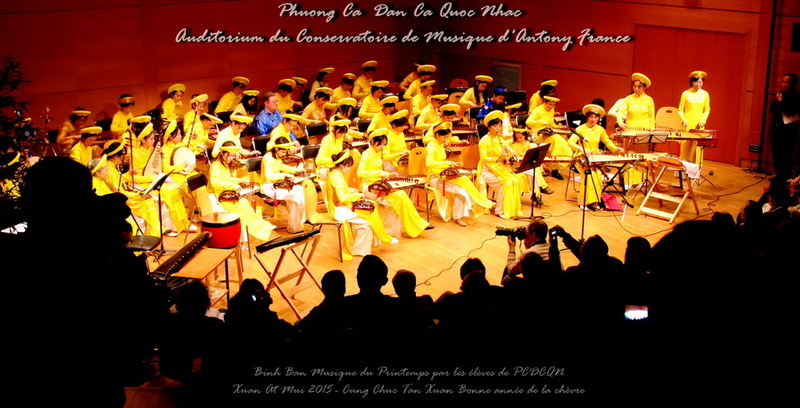 Pingback: Xem buổi diễn âm nhạc dân tộc ở Bankstown, Úc, 15 tháng 8, 2015, WORLD FESTIVAL OF VIETNAMESE TRADITIONAL MUSIC | DO YOU KNOW TRẦN QUANG HẢI – VIỆT NAM ?